Long compilation against the corporate burger millionaire Mc Donalds. It includes lots of grind/crust punk bands,good recordings and few info. 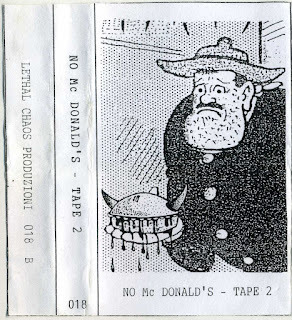 I must have the tape n1 somewhere in my messy cassette`s collection. I will post it in future. 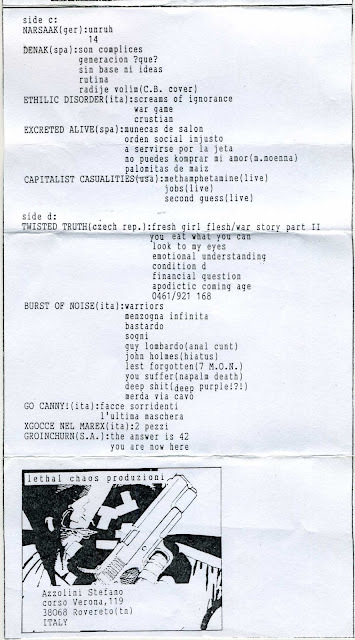 A discogs page about this label is here yet this compilation isn`t listed there. Enjoy the "chaos not music" of this nice sampler.